It didn’t sound at first listen like something to change the course of rock music. 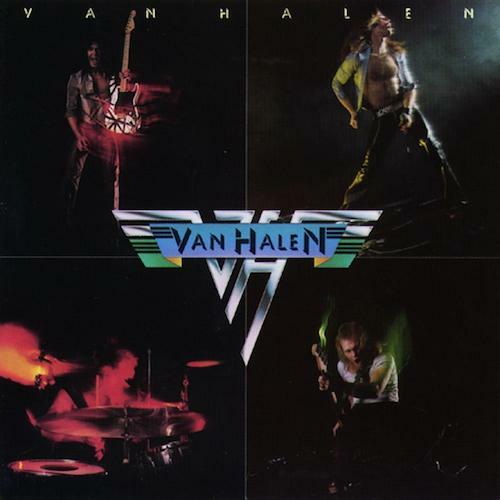 When Van Halen’s self-titled debut came to market in February 1978, it received substantial media attention, earned reviews that ranged from enthused to ennui-filled, and sold well behind a solid push from Warner Bros. Records. Its landing was substantial, but didn’t seem as momentous as it would later prove to be. The four-piece California band didn’t spawn a procession of imitators (as a full enterprise, that is; one member’s innovations have been pilfered virtually non-stop for a generation), nor change the course of how rock music was made, but its debut marked a turning point, one achieved by the considerably more difficult trick of changing the audience itself. Van Halen broadened hard rock’s audience with music that appealed to the mainstream without putting off purists. Over the course of its six-album original-lineup run, the band opened the door for hard rock on the pop charts, and made an ever-increasing number of Top 40 listeners receptive to music previously limited to AOR stations. Even then, the group retained substantial credibility as a rock enterprise for the simplest of reasons—no one would ever have dared call guitarist Eddie Van Halen a pretender. The younger of the two Van Halen brothers who gave the band its ultimate name (it had been Mammoth until 1974), Eddie drove the group’s signature sound with guitar riffs built on explosive virtuosity much more digestible than the average blowout interlude. Combined with the loopy charm of vocalist David Lee Roth, the band sported two unique appeals, a combination of musical proficiency and party-animal joie de vivre not easily duplicated. On its debut, those qualities were in place, though at a smaller scale than would manifest on later records. 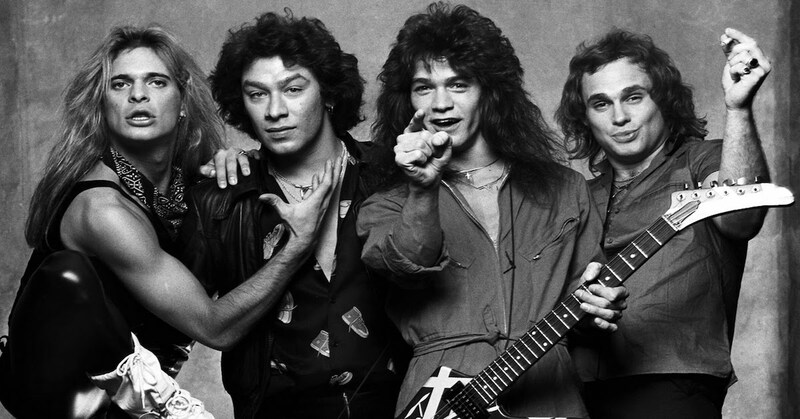 Eddie Van Halen would later express regret that the band’s first single was a cover tune, yet the group’s take on “You Really Got Me” is an ideal introduction. Reimagining the Kinks’ classic with substantial heft, the track finds Roth chomping on scenery, punctuating lyrics with charismatic howls and sharp wails, while rhythmic electric guitar prods its pace before breaking into a decorative and memorable fill. Oozing broad personality and lively energy, the song reached as high as #36 on Billboard’s Hot 100 and fueled the collection reaching as high as #19 on Billboard’s album chart, a harbinger of things to come. Though its path hadn’t been meteoric, Van Halen was always on someone’s radar. A fixture on the Southern California music scene once it locked in its classic lineup of Roth, Eddie Van Halen, his drummer brother Alex and bass player Michael Anthony, the quartet saw little result from 1976 demos financed by Gene Simmons. The following year, Warners’ Ted Templeman and Mo Ostin attended a performance at Hollywood’s Starwood, and signed them soon after. By fall, the band was at Sunset Sound with producer Templeman, who shepherded a three-week recording process. The direction of their collaboration is audible from the opening of the album’s first track (and second single), “Runnin’ With the Devil.” An approaching train (could be an aggressive car) horn decelerates as it nears, Anthony’s mechanical bass throbs from its remains, and a drizzle of piano cues drums and swatches of gritty electric guitar that aren’t at all showy. Roth jumps in with a caterwaul, then plays with the lyric. It’s nice enough, but hardly distinguished. Then, just under its two-minute mark, Eddie jumps in with a sizzling guitar fill that’s just 10 seconds long, but punctuates the entire enterprise and unveils the tonal quality that would be as much a signature of his work as its technique. It’s a meshing of pop and rock that doesn’t surrender its edge, a thunderous heralding of the group’s strongest appeals in nascent forms. It didn’t make chart noise to match its predecessor, peaking at #84, but remains a band staple four decades later. For a more complete accounting of Eddie Van Halen’s prowess, a listener need wait only seconds after the opener for “Eruption.” Drums open the tune, but its real purpose is as platform for Eddie’s guitar work, a kinetic instrumental that showcases technique yet remains engaging and hypnotic, driven by lightning-fast hammer-ons and pull-offs every aspiring guitar hero would soon emulate. Baseline four-man rock structure aside, the band showed little regard for traditional boundaries in its approach. “I’m the One” closes the album’s A-side with a blistering swing romp built atop a drum shuffle ,across which Roth feverishly bounds, all dressed with Eddie’s guitar line—done in one take—fired by flourishes of ascending triplet runs. Add in a barbershop quartet-style vocal break along the way, and the result is atypically deep for the genre. There’s an assuredness and wit to the proceedings; “Ain’t Talkin’ ’Bout Love” was originally conceived as a punk parody, but Roth’s outsized presence brings pleasant authority to lyrics with the high smart-aleck quotient of, “You know you’re semi-good-lookin’.” Not only is “Jamie’s Cryin’” a song without which the world would not have Tone Loc’s “Wild Thing” (that can mean credit or blame), it cements Roth’s larger-than-life geniality, sporting some of the heftiest nuance ever recorded via his knowing, not-quite-goofy playfulness. It also served as the record’s third single, but failed to chart. Anthony inevitably gets short shrift in any Van Halen retrospective, but was an important part of the playbook. His plump bass anchors “Little Dreamer” alongside a sturdy drum rattle, holding down the fort until Eddie’s solo lights the whole thing on fire, but Anthony’s most essential contribution frequently proved to be vocals—his high tenor was a key driver of that track and a number of others. Surprisingly diverse, the album still doesn’t have much in the way of outliers. “Atomic Punk” comes pretty close, its atmosphere established by rubbed electric guitar strings and an absence of backup vocals—it’s pure Roth giving the hard sell to an odd, post-apocalyptic vision. Relative to the rest of the album, it’s perhaps the narrowest track, with more attitude than flourish. When the band does coalesce, its interplay is potent. “Feel Your Love Tonight” is a full-bore rock tune with little flash at its outset, but Roth leads the charge with flamboyance and attitude, a cocky presence just on the right side of obnoxiousness that holds down the fort until Eddie’s late guitar charge. Similarly, “On Fire” sports a threadbare thematic core, but makes hay with the combination of Roth’s abandon-shedding and Eddie’s gear shift from plump rhythm to decorative showboating. It’s an average foundation at best, but has the right two people to make it considerably more interesting than it would have been had it possessed only proficiency or character—each performer makes it separately memorable. It’s unfortunate that internal conflicts tore the band apart following its hugely successful sixth record, 1984, because even with some genuinely interesting moments for both Roth and the rest of the band after they went their separate ways, the chemistry of their early records was something neither ever replaced. One reason “Ice Cream Man” leaves a lasting impression is because it makes disparate pieces coalesce; Roth opens the number with panache while accompanying himself on acoustic, and once his measured pace is established, the tune blows up into a band romp with a showy, dazzling solo from Eddie that goes around the bend just as Roth leaps back in with a celebratory yelp. Something would always be missing for each after they parted; nothing in Van Halen’s work with the more rah-rah, muscle-voiced Sammy Hagar captured the insouciance Roth brought to the table, and its brief Gary Cherone interlude was a fizzle, while Roth’s solo work contracted his sizzle out to the likes of Steve Vai, but never could recapture the organic quality of Eddie Van Halen’s contributions to their collaborations. Van Halen sold remarkably well for a debut and then just kept on going, eventually moving more than 10 million copies, one of two albums in the group’s catalog (1984 being the other) to do so. Within a few years the band would be arena rock behemoths, but even at their most commercial, they were welcome in the places that championed hard rock. Such was the charm of having one of the acknowledged masters of guitar in the band that even when they sold and sold, few would say they sold out. Instead, they opened doors for any number of rock acts to play both sides of the street. Greatest debut album of all time. A complete grand slam. One of the reasons the album was slow to take off was a sort of cluelessness among listeners about what was really happening. Just like with The Beatles first album, many established artists (and the general public) were doubtful that only four guys could make that sound. There are abundant anecdotes from well-known rockers who actually thought Eddie had a “little black magic box” that made all those noises, but whenever he picked up their axe (or any axe), he could always sound just exactly the same. Even today, there are many who consider VH (or The Beatles) a great scam of style over substance, which simply means they have no idea.